Hi guys. My name's Sting and I'm a big fan of your great city. I've turned 64 today and it's a kind of jubilee, 1.000.000 in binary system. Thus I've decided to run a contest for a sweet prize; a contest where the participants are equal regardless of their level and status. So, all of you should gather one million Dominance points summarily. No matter whom and where you fight, every earned Dominance point goes to the common pot. The one who adds the last drop to cross the one-million-line wins everything. I'll reward the winner by adding +1 grade to any item on their choice: be that a weapon, or a study item, or an amulet or even a pet! Do your best and keep in mind: the more often you fight, the better chance that it's your fight that ends the event! The contest starts today, Oct 2, at 4PM GMT and ends when the million points is gathered by all the musicians of Mojo City! 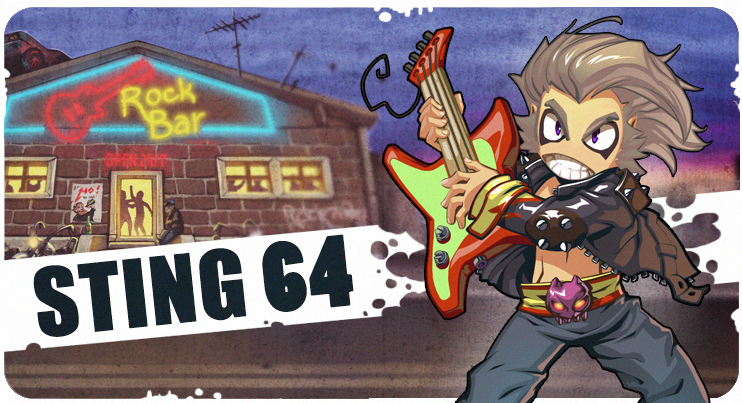 Dear players, it's time to reveal the winner of Sting-64 contest. The one-million Dominance points border was passed on Sunday, around 11AM. The final chord was played by musician Pakost who wins a free item upgrade +1. Due to the character's low level, the player has one week time to contact the Administration and mention the item they want to be upgraded for free.